Is it difficult to obtain the gold visa? What requirements are required to access it? Do I need legal assistance? We answer all your questions. 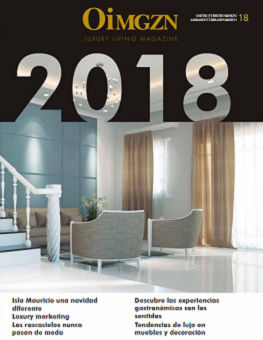 Foreign real estate investors may, from September 27, 2013, obtain the Spanish residence permit through the purchase of one or more dwellings provided that the amount is equal to or greater than 500.000 €. The Spanish residence permit "Visa Oro" will allow the foreign investor to reside in Spain and move throughout Europe thus promoting the Spanish real estate market. Make an investment for a value equal or superior to 500 €. The investment of 500,000 euros has to be free of charges. The applicant must demonstrate that the investor owns the property or real estate for the minimum amount of 500.000 €. To do this, you must provide the certificate or certificates of ownership of the Property Registry corresponding to the real property. For the purchase of housing, it is only necessary to have the NIE. It is not mandatory to have a bank account in Spain, although it is advisable. Have public or private medical insurance authorized in Spain. Other usual requirements such as: Not being irregularly in Spain, being over 18 years, having no criminal record and having medical insurance. Visas are granted for two years, and can be renewed after two years provided that the criteria continue to be met. You can reside in Spain and travel throughout Europe (Schengen territory). The spouse and minor children may also benefit from the Spanish residence. Residence in a European country considered one of the best in quality of life. Find out in detail the legal framework of the gold visa. If you want to know more about how to obtain the Spanish residence please do not hesitate to contact our team . We will be happy to help you.